We are proud to advise the Lyon start-up Notilo Plus on a fundraising operation. The Lyon start-up Notilo Plus has successfully raised €1.9M funds from the Ambition Amorçage Angels fund (F3A), managed by Bpifrance, PACA Investissement, managed by Turenne Capital, Provence Business Angels and various private investors. 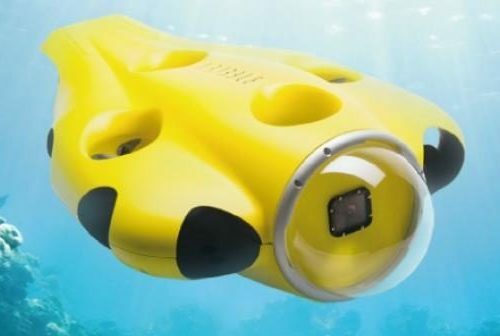 Founded in 2016 by Nicolas Gambini and Benjamin Valtin in association with the studio Startup Maker, Notilo Plus develops autonomous embedded systems in an underwater environment and aims to position itself as world leader in this market. Its first consumer product, iBubble, is an underwater drone that autonomously and wirelessly captures divers. Our lawfirm already advised Notilo Plus during its first fundraising of €800K in June 2017, which was intended to accelerate the development of iBubble for its release in 2018 and to confirm the technological progress of its underwater embedded systems both BtoC and BtoB. “This fundraising reward the achievement of several milestones in our development plan, and reflects an increased maturity of the company. Completed by public and bank financing, the entry of leading investors will enable us to industrialize our first drone platform, launch our BtoC and BtoB products and continue our research and development efforts” announces Nicolas Gambini, co-Founder and President of Notilo Plus. Jakubowicz Mallet-Guy & Associés is one of the leading independent French law firms in the field of advice and litigation. The firm is particularly well known for capital investments, restructuring and mergers and acquisitions. It supports many companies and groups, French and international, in their growth projects by favoring a personalized relationship with their leaders.